Obituary for David P. Graf, Sr. | Norman L. Waterman Funeral Home, Inc.
Newark - David P Graf Sr., 68, entered eternal rest on Tuesday, February 5, 2019, at Clifton Springs Hospital. Family will greet friends Saturday (Feb. 9) from 1 to 4 p.m. at the Norman L. Waterman Funeral Home, Inc., 124 W. Miller St, Newark. A Memorial Service will follow calling at 4 p.m. Please join the family after David's Memorial Service at the Fairville Volunteer Fire Department for a reception, please bring a dish to pass. 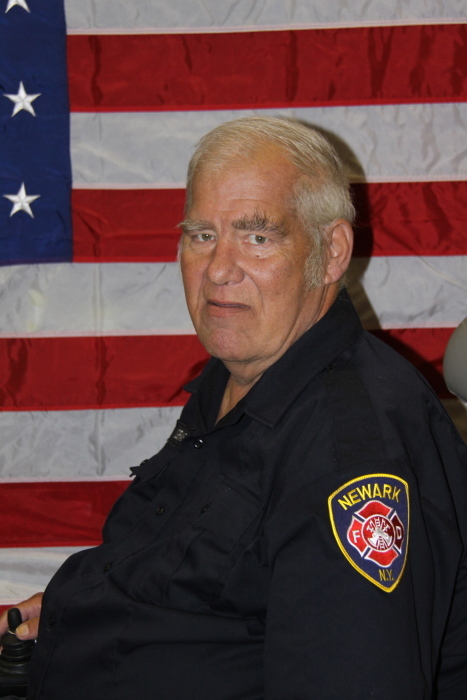 In memory of David, in lieu of flowers, please consider donations to Newark Volunteer Fire Dept. - Deluge Hose Co. 150 East Miller St, Newark or the American Heart Association, 25 Circle St, Rochester, 14607 or to help the family with medical and funeral expenses. David was born the son of the late Howard F and Roberta (Natt) Graf on Friday, February 10, 1950, in Newark, NY. He spent his life in the Newark area. David worked for Fold-Pak Corp., and then Riverside Apartments as a custodian. He was a member of the Lyons Fire Dept., Newark Volunteer Fire Dept., and the Port Gibson Fire Dept. for 35 plus years. David enjoyed watching old western movies and Moody Blues music. David will be remembered by his sons, David P (Kelly) Graf Jr., and Todd C. Graf; daughter, Kimberly (Joe) Brown; brother, Kenneth Graf; seven grandchildren, five great-grandchildren; many nieces, nephews, and friends including staff at the DeMay Living Center. David was predeceased by his brother, Dale Graf in 2010. Newark Volunteer Fire Department-Deluge Hose Co.